I am asking my fellow bloggers and Twitter users to do their part to support their favorite small and online businesses through the BizLuv MEME. Read more about why we all need to support each other and small businesses in BizLuv Meme. TWITTER USER? Please Tweet This and share it on your other favorite Social Media and Bookmarking sites. To make it easy you can use this template (or be creative and do your own thing). Include a paragraph about what the BizLuv MEME is and why you support the idea. You can write your own or use the one below. Include the business recommendation we share below. You can also include recommendations from other bloggers you read who are participating. Tell us about a small or online business you use. Include why you recommend them and what products or services they offer that you personally buy. If you know how, add anchor text and links for them. IMPORTANT: If you do not know how just copy and paste the URL to their Web site into your recommendation and I will do this for them and get a copy to you. Ask your readers to participate in this MEME by Tweeting, blogging, and reviewing businesses they recommend. Publish your post and leave a link to it in the comments of this post. Akismet may flag it as SPAM but I WILL rescue your comment. If you have a business or blog please do this for your sites too. Don’t wait for someone else to do it. I am NOT opposed to self promotion. Success is challenging enough in good times and there is no time to waste! HOW DOES THIS BENEFIT BUSINESSES and YOU? It makes us all easier to find everywhere online! More readers will learn about you and them. We are doing our part to save small and online businesses being affected by the economic downturn and hope you will too. First we Tweeted This Post on how Twitter users and bloggers can support their favorite stores and service providers. Now we are sharing a business recommended by a dofollow blog that helps businesses to blog and get free Local Search Directory listings and adding a business we recommend. 2. INCLUDE ALL OR PART OF OUR RECOMMENDATION BELOW – Feel free to paraphrase or use only the part that interests you most. Businesses related to real estate and construction are among those hit the hardest. This can be as short or long as you wish. Imagine you are telling your best friend about them and share with us what you would say to them in person. 4. Add anchor text and links to their site and directly to the products and services you recommended. If they don’t have a site link to any listing about their business you can find. In your own words, ask your readers to participate in this MEME by Tweeting, blogging, and reviewing businesses they recommend. 6. SHARE YOUR POST HERE: Leave a comment in this post and include a link to your post either as the CommentLuv featured post (if you use CommentLuv) or in the body of the comment. If you know how to use anchor text go ahead. If you don’t just paste the link. All links are do follow. Akismet may flag your comment as SPAM but I WILL rescue it. I will personally make sure that your blog and the businesses you recommend receive links with appropriate anchor text in many blogs. There is no limit to how many businesses you can recommend. It doesn’t matter if you put them all in one post or write multiple posts. Leave all the links in the comments of this post so I can easily find and republish them & include BizLuv in your Tweets and tags. Thank you in advance for supporting this very important MEME. Find out who else is participating by using this Twitter Search. If you don’t clearly understand what I am proposing or don’t know how and need assistance please ask me. Contact @GrowMap on Twitter (send me an @ message if you want to DM me), StumbleUpon or leave a comment in this post or use my contact form to email me. MEME: LinkLuv in Support of Small Businesses (growmap.com) Read this post for more on how to support your favorite businesses. It didn’t take off back then so I just kept on building my reach and collaborations and will relaunch it when time allows and I can rally more bloggers around the idea. I encourage bloggers to run with your idea of a “favorite businesses” section and also to review your favorite businesses online (where to do that is explained and linked to in the post I’ll put in CommentLuv in this reply). What I believe is going to happen is that there will be more geo-targeted niche blogs with multiple authors/promoters that attract small business advertising. Merchants who have good affiliate programs should provide a way for you to deep link to their site. I wrote about How to Deep Link ShareASale Affiliate Links. You’re reminded me that I need to write about the pros and cons of direct links versus affiliate links for SEO purposes. Direct links are better for the merchant, but for your affiliates to be compensated for their efforts they need to make all the links they use trackable. No matter what types of links you use be sure you understand how to use anchor text properly. That link goes to a post that explains how to do keyword research and track the results of your link building efforts. I love the idea. Hopefully it’ll get good following. It can be a real challenge to get a new concept off the ground. It will usually only happen when you persistently refuse to let it die and keep promoting it until it takes off. I am still working on making this happen. Have you listed your business in the major Local Search Directories yet? Not doing it is like turning down free advertising. My post on Local Search Directory listings has all the information you need. Dofollow is the way to go if you ask me, but your efforts are sometimes best spent on other search engines that don’t consider the nofollow because the nofollow links are easier to get and very often have much less outgoing links. Great list though because a dofollow counts in all search engines! .-= Club Penguin´s last blog ..Free Club Penguin Account =-. All links have some benefit but the real value is when we start writing about and linking to reputable businesses directly in the body of our posts. Thanks growmap for supporting small businesses. If we can help entrepreneurs grow their businesses, perhaps they will create enough new jobs to get the economy rolling again. If we as consumers would spend our money with small local and online businesses instead of superstores our economy will improve. I hope at least some small number of people who read my blog will start to understand why this is so very important before it is too late. Small and online businesses are already struggling and as the economy declines they will start failing if we don’t actively start uplifting them right away. It takes time for our efforts to add up. Adding reviews and links to support your favorite businesses are like investing a penny. Remember the question about whether you would rather have $10,000 or a Penny Doubled Every Day? A few won’t buy anything but as they multiply they really make a difference. Our efforts are like those pennies; keep doubling them and success will come to all who participate. Thanks for sharing this tutorial and adding commentluv plug in in blog . This is really a good do follow strategy for good search engine rankings. Thanks for the suggestion. i will look and consider bizluv in future. We hope GrowMap readers and commentators will also become Good Millwork readers and commentators. Our blog has information that has wide appeal including tips on home improvements including how to select, measure and install architectural moldings. We are especially excited about sharing news about our eco-friendly products manufactured from TimberSIL. Anyone interested in architecture or home restoration might enjoy what we share about unique and restored homes and buildings. .-= Joseph @ Crown Moldings´s last blog ..Crown Moldings: Selecting, Measuring, Installing =-. My regular readers probably know that I am working with Good Millwork to create processes that other traditional businesses can emulate. They are a great role model for how to use the Internet to grow your reach. I hope anyone in need of the types of products and services they sell will consider buying from them and ask that if you wish to write a post about a worthy blog you write about them instead of me. I will be fine without your links; their business is providing support for fifteen families from Industries that are severely struggling due to the economy such as Construction, Remodeling and Real Estate. Besides moldings they also manafacture Exterior Shutters, Cabinet Moldings, Wood Siding and any other custom milled wood products. They also sell difficult to source woods like Genuine Mahogany to companies that build guitars and other musical instruments, furniture, or any other purpose. Admirable idea – promote small businesses today and they can become the corporate companies of the future; great for the economy. .-= Howard@search engine optimization service´s last blog ..Google Search Engine Optimization Tips | Organic Search Engine Optimization =-. There is more than one kind of Corporation. While I have nothing against businesses that incorporate for legal protection I do not support most publicly-traded corporations because their ethical focus is detrimental to the greater good. It is foolish to continue to support the very Corporations that have intentionally and systematically created and then eliminated prosperity for the multitudes in so many countries. Those who choose to change their lives while they still have some resources will find it much easier than those who wait until they are in dire straights. Even then the solution is to make a total change of lifestyle and most likely location. That would be great and i think sounds really useful to support your favorite business. I wish more people could see that supporting local and small online businesses would turn the economy around for those who do it. It won’t help those who don’t take action but it will make life better for just those who care. Your clinic would benefit from the information in the post I’ll feature in CommentLuv in this reply. Thanks for availing bizluv meme. I really like your post and providing informational support for small Businesses. Best of luck with your site for finding the ideal location for a business in the UK. That would be great and i think sounds really useful to support your favorite business.I will keep this in mind,thanks! It is obvious to me that few bloggers or businesses understand the great good participating in this MEME will do them. I will publish success stories as I can. Those who are concerned about publishing recommendations that might be off-topic in their blogs might find it interesting to note that four of the links in the review of Bill’s business that I included in this post are currently among the Most Popular Outgoing Links on this site. This information is provided by MyBlogLog click tagging and is site-wide (not just for this page). I hope you and your friends read more than just my latest post. There is so much here to assist any business, blog or SEO worker to accomplish more faster when working online. Skim the Most Popular Content or Categories for what most interests you or use the search box in the right column. The Best of GrowMap post is also a good place to start. .-= Gail @ Social Media Marketing´s last blog ..WordPress How To Clean Up Title Permalink URLs =-. It would be very beneficial for every blogger. Doing well to provide it. Here i always get something new. I am going to get a blog post out as soon as I can. This is a wonderful idea. I love the fact you help out other small business. Keep up the good work. I will go ahead and tweet this as well. .-= Danny @ Blogs about everything´s last blog ..Funny superbowl commercials 2010 =-. Thanks for your support Danny. I encourage you and everyone else to do this for all of your own businesses and any you recommend. Do not be concerned about submitting too many links – there is no too many. The more businesses we can assist the better! 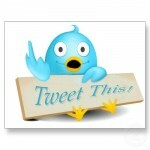 .-= CJ@PAge Landing´s last blog ..Hoot Hoot is Choice Twitter App =-. Thank you CJ. The more visibility we can give this idea the more likely it will take off. Most MEMEs just fade away but I believe this one is so important that keeping it alive will be highly beneficial to many, many small businesses and blogs. It is a good to support small businesses even in small ways such as these. The more they are able to thrive the better chance they have of competing with larger ones. This is actually a HUGE way to support small businesses. I am afraid that most do not realize that incoming links with appropriate anchor text are THE way that to increase how many find any business online. I encourage anyone reading this post to also read Building Traffic. It explains how to determine what phrases to target and what to do with them. Then use the post featured in CommentLuv in this reply to benchmark and track those keyword phrases. How important is this? I know one small business that makes just under $2 million a year primarily because they understand this concept very well.